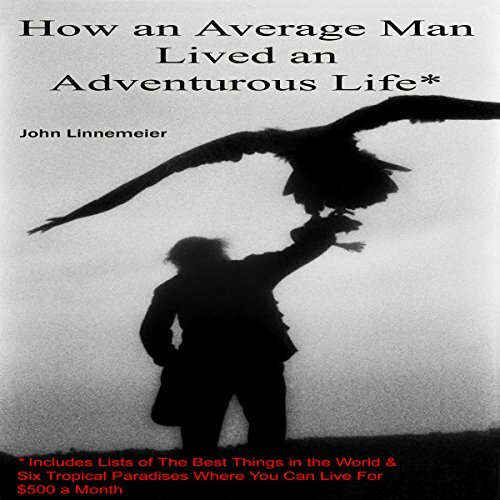 Showing results by narrator "Jacques Linnemeier"
The stories in this book are all true. Its author has been held up at gunpoint at night on a road in Guatemala and shot with a machine gun in the chest and shoulder in Vietnam. He's come close to dying of thirst in the Sahara and freezing to death in the Himalayas. He's contracted malaria and typhoid fever in Ethiopia and hepatitis in India. There have been accidents involving motorcycles and automobiles. He's had close calls involving lions (twice), elephants (three times) and a rhino (once).